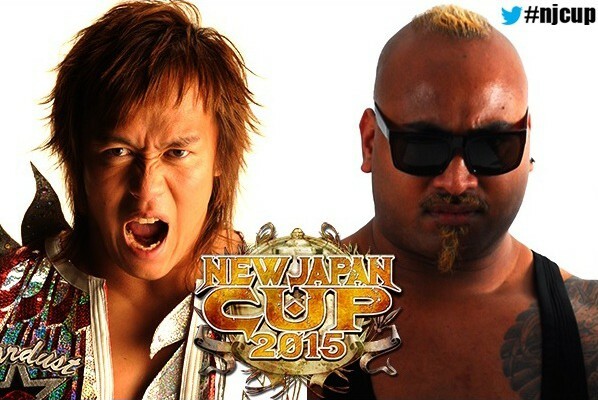 The tournament for the New Japan Cup continues this evening, with New Zealand’s Bad Luck Fale slated to face Tetsuya Naito in a quarter-final match. Fale made it all the way to the final of last year’s New Japan Cup tournament, where he was defeated by Shinsuke Nakamura. Naito is no stranger to tournaments himself, having won the G1 Climax in 2013. Unlike the G1 Climax, the New Japan Cup is a more traditional, single-elimination tournament. The winner of this year’s New Japan Cup will receive a match for the title of his choice with the option of either AJ Styles’ IWGP Heavyweight Championship, Shinsuke Nakamura’s Intercontinental Championship, or Tomohiro Ishii’s NEVER Openweight Championship. Fale pulled off perhaps the most impressive win of the entire tournament in the first stage of the New Japan Cup this past Friday, defeating former IWGP Heavyweight Champion and Wrestle Kingdom 9 headliner Kazuchika Okada. Naito, meanwhile, overcame Fale’s Bullet Club stablemate “Machine Gun” Karl Anderson. Fale vs. Naito takes place tonight from 10.30pm at Tokyo’s Korakuen Hall, and is available live on NJPW World, NJPW’s online video subscription service. Other matches on the card include Togi Makabe vs. Yujiro Takahashi, Kota Ibushi vs. Toru Yano, and Hirooki Goto vs. Katsuyori Shibata.